Gath Surf Convertible is designed for the surf. Its unique fitting system provides an incredibly snug comfortable suction cap fit. Gath ear protectors are easily removed to expose the ears – ideal for hot weather – or easily attached, becoming an extension of the helmet shell for added impact protection and extra warmth in cold conditions. Adjustable audio vents allow further flexibility to shut out the cold wind or open to improve hearing. Surf Life Saving Australia (SLSA) in conjunction with James Cook University, VicLabs and SAI Global have completed testing to develop the world’s first specification/standard for low buoyancy water lifejackets. The results, outlined in a report “Independent testing of <level 50 buoyancy aids for Surf Life Saving Australia,” available today, have assisted in defining a specification for a new Level 25 class of lifejacket as part of a revised Australian Standard AS4758:1-3 Personal Flotation Devices. Click here to read the Independent testing of <level 50 buoyancy aids for Surf Life Saving Australia report. Surf Life Saving Australia in conjunction with James Cook University, VicLabs and SAI Global commenced the initial testing to develop the world’s first specification/standard for low buoyancy water safety gear known as lifejackets. The testing in Sydney, over Saturday 12th and Sunday 13th April 2014, will look at the minimum buoyancy levels required in lifejackets to bring a person to the surface, and the maximum buoyancy levels in lifejackets that allow individuals to move efficiently through the water without significantly impacting their physical exertion. Surf Life Saving Australia has released the report of independent testing in to the use of Personal Protective Equipment (PPE) conducted by James Cook University (JCU), VicLabs and SAI Global. 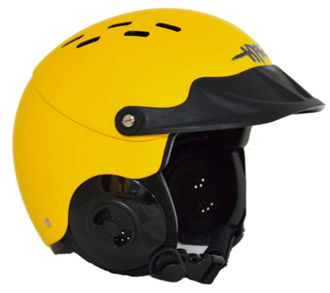 Independent testing of the use of surf helmets and buoyancy aids for non-powered craft (boards, surf skis and surf boats) commenced in September 2013, and further testing will continue in coming months. The new equipment is part of a number of new safety measures announced by Surf Life Saving Australia in August 2013 and ongoing continuous improvements across surf sports. Click here for the Independent Testing Report. Surf Life Saving Australia (SLSA) has announced that it will support the Australian Standards Committee in developing a new Australian Standard specification for buoyancy aids for use in special performance activities including surf lifesaving. The outcomes of the recent independent testing of the existing Level 50 buoyancy aids and helmets – undertaken by SLSA in conjunction with independent agencies, James Cook University and SAI Global – have been fully supported by the SLSA Board. Click here, for the Independent Testing Executive Summary. The use of helmets in surf boats in competition and training will now become mandatory from 1 October 2014. In consultation with the Australian Surf Rower’s League (ASRL) and States/Territory centres, SLSA has considered a number of factors in extending the operational testing period of the new safety measures, including an extensive training and education program to ensure that the helmets are correctly fitted. It will also allow a greater number of suppliers to be involved in being tested during the design phase of the new measures. SLSA will continue its consultation to introduce helmets on surf boats, with safety first and foremost for members. Click here for Surf Boat Member Update Bulletin, released 1 November, 2013. SLSA will be continuing the Personal Protective Equipment (PPE) Project as part of the new safety measures announced in August by conducting independent testing on the use of surf helmets and buoyancy aids for non-powered craft (boards, surf skis and surf boats). SLSA has engaged VicLabs, James Cook University (JCU) and SAI Global to undertake the independent testing of the PPE. For more information on the independent testing and SLSA specifications, please click here. As the peak water safety organisation – SLSA has the safety of its members and the public at the core. Please click here to access the Member Bulletins on the implementation of safety equipment. Please click here to view the Safety Announcement Media Release.